« Are you a factory worker or a lab worker? 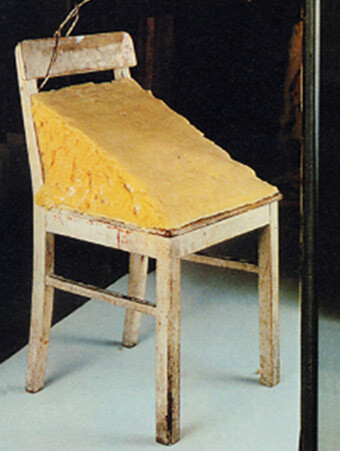 When Joseph Beuys introduced his “Fat Chair” in 1963, there was much consternation. Over time, people learned that he was shot down in WWII, saved by Tartars who wrapped his body in animal fat and felt and nursed him back to life. Still, years later people remain baffled by this piece of art and make more jokes about it than meaningful comments. When people started communicating on Twitter limited to 140 characters, there was a loud backlash from people ridiculing the platform and its users. It happened with tablets, it happens with art and new ideas every day. When the marketplace embraces something new that makes no sense to you, you need to try to understand the point of view of people why they would embrace this new. You don’t need to twerk along, don’t need to go to the latest EDM event or watch each movie that makes gazillion of dollars. And, no, you don’t need to pretend you even like it a bit. But, it’s your job to understand why other people were touched, inspired, intrigued by something new that makes it worth talking about. You need to understand why people are waiting in line for a new restaurant, why this person became the new overnight sensation, why live gaming events sell out arenas. Denigrating art or passion of other people doesn’t hurt their art or passion – it just tells the world that you have stopped being curious and willing to learn.